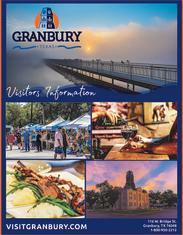 The Historic Granbury Square is the place to be on Friday and Saturday nights. After you see the shows, stick around for Granbury After Dark! There are several participating bars and restaurants around the Square that stay open specifically to continue the fun and relaxation after you see a great show. Just look for the window decal!